A powerful yet easy service management tool that manages customers, leads, estimates, work orders, inventory and accounts. Designed for service companies that require a professional and detailed service management tool. 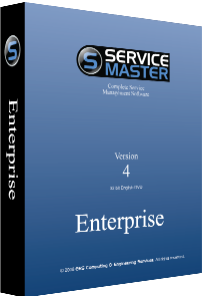 Service Master is the most complete service management tool for service companies, for easy and rapid navigation with detailed controls to meet the demands of the most challenging service companies. It's FREE! No catch, takes 5 minutes to get running and deliver a powerful tool for your business.